March 12th, Tue., Day 1 (pic: Anne-Laure, Bridget, Chris in front of the main clinic. Anne-Laure jumping. ): Chris, Bridget, Anne-Laure and I visited the White Earth Health Center in Ogema, MN. Chris shadowed in the main clinic, Bridget in the pediatrics department, and Anne-Laure and I at one of the field clinics in Naytahwaush, 20 miles away from the main clinic. We saw interesting cases that we wouldn't have been able to see in New Hampshire. As we heard before, drug seeking was more frequently seen in this area than in Hanover. After shadowing our doctors and RNs for the day, we met up at the main clinic to look at the artwork exhibited on the walls and shelves in the hospital. 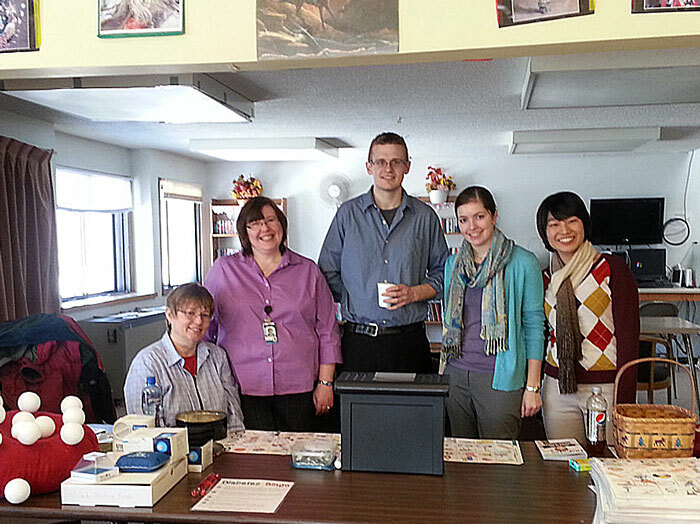 March 13th, Wed., Day 2 (pic: Gail Gardner, Paulie Neison, Chris, Bridget, Jisoo from left to right, during Diabetes Bingo): Diabetes Bingo is an interactive, visual, fun way to educate both diabetic and non-diabetic patients about the symptoms, management of diabetes and insulin. It is done in various counties, and today, we had the opportunity to help the game in Eagle Crest Congregate Housing. Around 15 young adults, adults and elders participated. March 14th, Thr, Day 3. 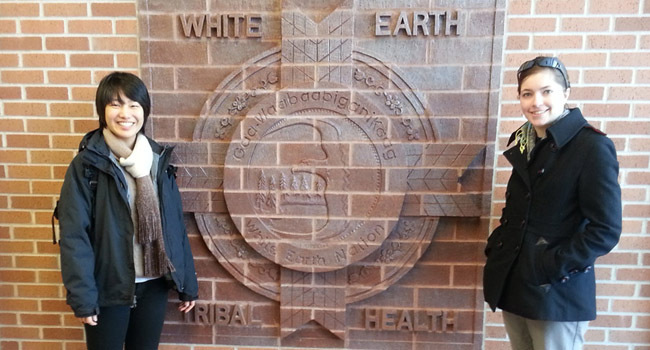 (pic: Jisoo and Bridget in front of the mark of White Earth Nation): White Earth Nation runs multiple programs for the health and safety of the residents in multiple counties of the area. One of the programs is the Home Care, where nurses and registered nurses visit patients' homes to provide healthcare. Each student was paired up with a healthcare provider, and followed to patients' homes. Since many of the patients were diabetic or wounded, continuous monitoring and care was needed. It was a great opportunity to experience one of the ways of how rural medicine is practiced.